Information on understanding and using APA style. APA Style Central changed its name to Academic Writer in January 2019. Academic Writer (formally known as APA Style Central) is a learning, writing, research, and publishing platform from the American Psychological Association. 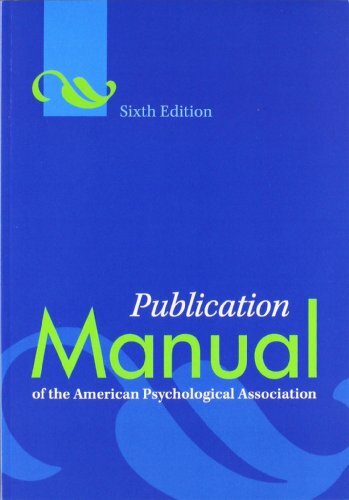 Academic Writer incorporates the rules of the Publication Manual of the American Psychological Association and simplifies the process of using APA Style. Use the platform to learn about APA style, write papers and create references formatted in APA Style, collaborate with other authors, and prepare your papers for publication. I'm going to tell others. The APA Style Blog is the official companion to the Publication Manual of the American Psychological Association, Sixth Edition. It's run by a group of experts who work with APA Style every day. They publish weekly posts to talk about what we love—writing, publishing, and APA Style. APA Style is used in most courses here at the University, with the exception of the Physical Therapy and Nurse Anesthesia programs which use AMA Style or both APA/AMA Styles. The library subscribes to Academic Writer, the tool by the American Psychological Association which helps with writing and sharing the APA Style rules. 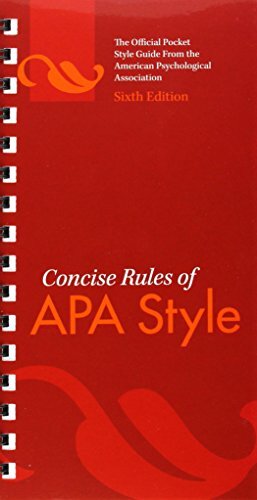 This gives concise rules for the 6th Ed of APA style. We have a copy in Reserve and in Reference. This is the official "Bible" for APA style formatting. We have a copy in Reserve. This is the LATEST edition -- 6th.